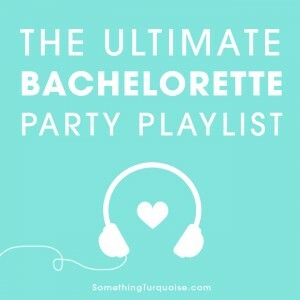 Free, Ultra Sweet Bridal Shower Playlist on Spotify! I love music and I’m sure you do too. Music is a HUGE part of weddings. Music makes you feel ways about things and if it’s not on point, it can ruin your event… so naturally that’s why we hire DJ’s and musicians to create that special soundtrack for us. But what about all the other little wedding events and experiences leading up to your nuptials? 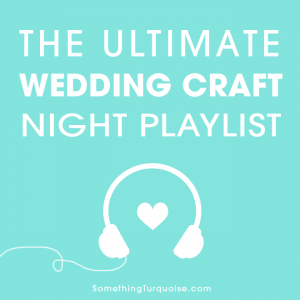 Like for instance your engagement shoot, or your wedding work-outs, or maybe even your DIY bride craft night – that’s where my new Spotify playlists come in! Today’s Bridal Shower Mix is extra special because our lovely bridal blogger Kelli is the one who created it for you! Ok, actually she hand selected every song for her own bridal shower and is graciously sharing her mix with us today. So download Spotify if you haven’t already and click play to hear the perfect, romantic songs that will brighten up your special celebration!